Every 10 years, the federal government conducts a census. The states then use the data from the census to draw new maps for their state legislatures and federal congressional districts. The maps often take politics into account – for example, to protect incumbents. But in March, the Supreme Court will hear oral argument on whether state officials can go too far, so that they actually violate the Constitution, when they draw maps that favor one political party at another’s expense. And with the retirement last year of Justice Anthony Kennedy, the justices could be poised to rule that this issue – known as partisan gerrymandering – is one that the courts should leave to politicians and the political process. When the justices take the bench for oral arguments on March 26, the questions before them will be both familiar and very difficult. In 2004, when the Supreme Court reviewed a partisan-gerrymandering challenge to Pennsylvania’s redistricting plan, the justices were deeply divided: The court’s four more conservative justices believed that courts should stay out of partisan-gerrymandering claims, because it is too hard to come up with a manageable test to determine when politics plays too influential a role in redistricting, while their more liberal colleagues would have allowed courts to review partisan-gerrymandering claims. Justice Anthony Kennedy, who has since retired, agreed with his more conservative colleagues that the Supreme Court should stay out of the Pennsylvania case, but he left open the possibility that courts could have a role in reviewing partisan-gerrymandering cases in the future if a workable standard could be found. During the court’s 2017-2018 term, it seemed as though the justices might finally decide the partisan-gerrymandering question once and for all, in a challenge to the redistricting plan that Wisconsin’s Republican-controlled legislature drew for the state’s general assembly in 2011. With the new map, Republicans in 2012 won 48.6 percent of the statewide vote, but 60 of the 99 seats in the general assembly; two years later, Republicans won 52 percent of the statewide vote and 63 seats. The Wisconsin voters challenging the new plan argued that the Republican legislature had engaged in partisan gerrymandering in two different ways: It had both “cracked” Democratic voters – that is, divided them up into multiple districts, so that they wouldn’t have a majority in any of them — and “packed” them – that is, concentrated them in a small number of districts, where they would win by large margins. A federal district court agreed with the plaintiffs that the 2011 map violated the Constitution, and it ordered the state to draw a new map for future elections. In 2017, the Supreme Court put that ruling on hold and agreed to weigh in. At the oral argument in October 2017, the justices focused primarily on two closely related questions: Should courts get involved in reviewing partisan-gerrymandering cases at all, and, if so, what test should they use to review such claims? Chief Justice John Roberts suggested that courts should not review partisan-gerrymandering cases at all, to preserve the institutional reputation of the judiciary. For example, if the Supreme Court were to rule for the Democratic plaintiffs in a case alleging partisan gerrymandering by Republicans, he argued, the public would not necessarily understand the nuances of the court’s decision; the takeaway would be that the court had ruled against the Republicans and for the Democrats. Roberts and Justice Samuel Alito were also skeptical about the standards that the challengers proposed for evaluating partisan-gerrymandering claims, with Roberts calling them “sociological gobbledygook,” while Justice Elena Kagan was concerned about the possibility that courts would be flooded with partisan-gerrymandering claims in the future. Some court-watchers thought that the justices might try to resolve the Wisconsin case quickly, to allow a new map to be drawn as soon as possible. But two months later, the justices announced that they would take on another partisan-gerrymandering case – this time, a challenge brought by Republican voters challenging a single federal congressional district in Maryland. These voters contend that when Democratic election officials drew new district boundaries after the 2010 census, the officials only had to tweak the existing district by about 11,000 votes. But the map-makers instead removed approximately 66,000 Republican voters from the district and added 24,000 Democratic voters. This meant that although the incumbent at the time, Republican Roscoe Bartlett, had won re-election by a margin of 28 percent in 2010, in 2012 he lost to a Democrat, John Delaney, by a margin of 21 percent. The challengers contend that the election officials made the shift to retaliate against them for their support of Republicans – a violation of the First Amendment’s guarantee of free speech and association. After hearing oral argument in these two partisan-gerrymandering challenges, the justices decided both cases without ruling on the merits of the challengers’ claims. In June, the justices unanimously agreed to send the Wisconsin case back to the lower court, explaining that the plaintiffs in that case had not shown that they had a legal right, known as standing, to challenge the statewide map. In a decision by Roberts, the court emphasized that the plaintiffs were alleging that their votes had been packed or cracked, a claim that depends on the boundaries of each plaintiff’s own district. And the remedy for the harm from packing or cracking, Roberts continued, would be to redraw an individual district – not necessarily the whole map. 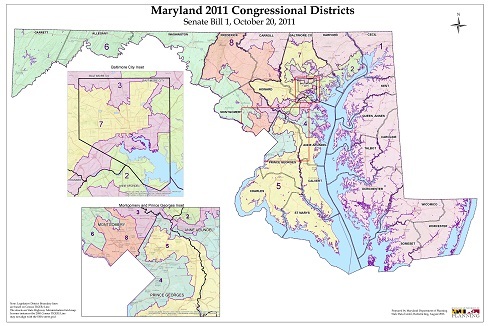 The justices also issued a brief, unsigned opinion in the Maryland case in which they stressed that the dispute was still in its early stages: It was an appeal from the district court’s denial of the plaintiffs’ request to block Maryland from holding elections using the 2011 map while the court weighed the constitutionality of the map. 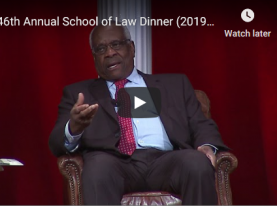 As a result, the justices reasoned, the Supreme Court was reviewing the district court’s decision under a lenient standard: The question before the justices wasn’t whether the district court’s decision was wrong, but whether it was so wrong that it was unreasonable. And in the Maryland case it was not unreasonable, the justices explained. In particular, the plaintiffs did not ask the district court to bar the state from using the 2011 map until 2017 – six years after the map was adopted, and three years after the plaintiffs first challenged the district. Moreover, the justices added, it made sense for the district court to hold off on ruling on the challengers’ claims when it knew that the Supreme Court would be issuing a decision in the Wisconsin case that could provide guidance for the Maryland case. The Maryland case went back to the district court, which held a hearing in October 2018. In November 2018, the district court ruled for the plaintiffs and ordered the state to draw a new map for the 2020 election. 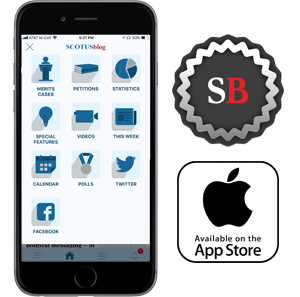 The state appealed to the Supreme Court, which announced in January that it would review the case, Lamone v. Benisek, in March. Defending the district, Democratic election officials describe the state’s 2011 map as “the culmination of a months-long process of drafting work” that tried to achieve a variety of goals, including eliminating a district that spanned both shores of the Chesapeake Bay and keeping two majority-black districts. The election officials suggest that the test adopted by the district court in the Maryland case is unworkable because it does not resolve what they describe as the “central problem” for courts confronting partisan-gerrymandering claims: “determining when the redistricting process” “has gone too far.” The district court’s opinion, they contend, would bar any consideration of party affiliation, even though the Supreme Court has specifically upheld maps that did consider that factor. Moreover, they add, the district court’s test would require courts to use the existing map as a baseline, but there is nothing magical, from a constitutional perspective, about the previous map, which also presumably took party affiliation into consideration when it was drawn. Similarly, they write, the district court agreed with the plaintiffs that “vote dilution” is an injury, but it didn’t indicate how courts should determine what level of vote dilution is required. They argue that such guidance is essential, because someone is always going to get moved around after a redistricting and will inevitably feel disconnected from a new district or the political process generally. The Maryland case is not the only partisan-gerrymandering case slated for oral argument on March 26. In Rucho v. Common Cause, the justices will also consider a challenge to North Carolina’s federal congressional map, adopted by the state’s Republican-controlled legislature. The map is the second one drawn since the 2010 census: In 2016, a federal district court struck down the 2011 map, ruling that two districts were unconstitutional racial gerrymanders. The legislature went back to the drawing board and came up with the current map. But in January 2018, a federal district court invalidated the 2016 map as well, holding that it was an unconstitutional partisan gerrymander, and ordered the state to draw a new one. The state’s Republican legislators went to the Supreme Court, which sent the case back to the lower court for reconsideration in light of the Supreme Court’s decision in the Wisconsin case. A few months later, however, the district court again invalidated North Carolina’s 2016 congressional map, ruling first that the challengers do have standing and then that the map was the product of partisan gerrymandering; the lower court blocked the state from using the map after November 2018. North Carolina Republicans returned to the Supreme Court, where redistricting cases are among a narrow set of cases with an automatic right to appeal. They push back first against the district court’s ruling that the plaintiffs in this case have standing. They contend that the plaintiffs don’t have the kind of specific injuries that would even allow them to go to court. Instead, the Republican legislators argue, the plaintiffs are simply trying “to vindicate a generalized preference to see more Democrats from North Carolina elected to Congress.” Indeed, they note, one of the plaintiffs even explained that the “problem with the districts is that the number of Republicans elected is not proportional to the vote that Republicans receive in statewide elections.” But a voter cannot go to court just because there is not proportional representation in his state; if anyone is injured from lack of proportional representation, the legislators observe, it would be a member of Congress. Faced with this difficulty, the legislators contend, the district court gave up “trying to decide ‘how much is too much’” partisan influence in redistricting and instead “declared partisan gerrymandering categorically inconsistent with the Constitution.” But that view conflicts with both the Supreme Court’s earlier cases – which have repeatedly recognized that “some degree of partisanship” can play a role in redistricting – and the Constitution itself, which explicitly gives state legislatures the power to draw federal congressional districts and authorizes Congress to change those districts. Turning to the question whether partisan-gerrymandering claims are justiciable, the plaintiffs reject the legislators’ contention that the Constitution delegates issues relating to redistricting only to the states, with Congress as a backstop. “The vanishingly unlikely prospect of congressional intervention” to address partisan gerrymandering “does not,” the plaintiffs stress, “release courts from their independent obligation to enforce the Constitution.” “And far from endorsing partisan gerrymandering,” the plaintiffs add, “the Framers would have been appalled by” partisan gerrymandering. When the justices announced in January that they would take up the Maryland and North Carolina cases, they took the somewhat unusual step of indicating that the two cases would be scheduled for oral argument in March – eliminating any doubt about whether the cases might instead be placed on the court’s April calendar. There’s no way to know for sure, but the justices may have wanted to ensure that they would have as much time as possible between oral argument and their summer recess to decide the cases: Although the issues are familiar to at least eight of the nine current justices, they are also (as last term’s oral arguments demonstrated) difficult and controversial, with potentially historic significance.